The Russian Federation intends to deploy another anti-aircraft weapon system in the occupied Crimea, reinforced with the Triumf nmount. “In the near future, the new complex will take up the military duty in the Crimea to protect the airspace of the Russian Federation,” command of the Southern Military District noted. Reference: S-400 Triumf is a Russian long-range anti-aircraft missile system designed to destroy air-space attackers. Each mount can provide simultaneous firing of up to 36 targets with a range of up to 72 rockets. The S-400 can hit cruise missiles, helicopters and airplanes, as well as ballistic targets flying at a speed of up to 4.8 kilometers per second at altitudes from several meters to several dozen kilometers. Earlier, the occupation troops of the Russian Federation put an anti-aircraft missile regiment armed with the Triumf system on combat duty in January. 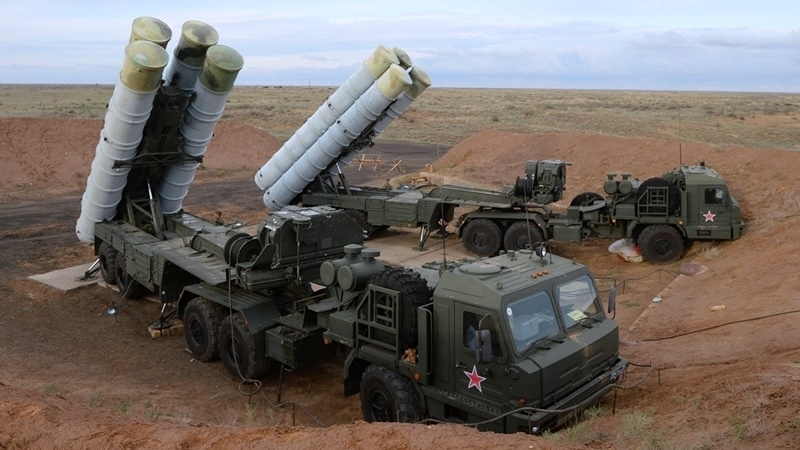 The armament of the guards anti-aircraft missile Sevastopol-Feodosiya regiment of the invaders was replenished with the air defense system S-400 Triumf in 2016.